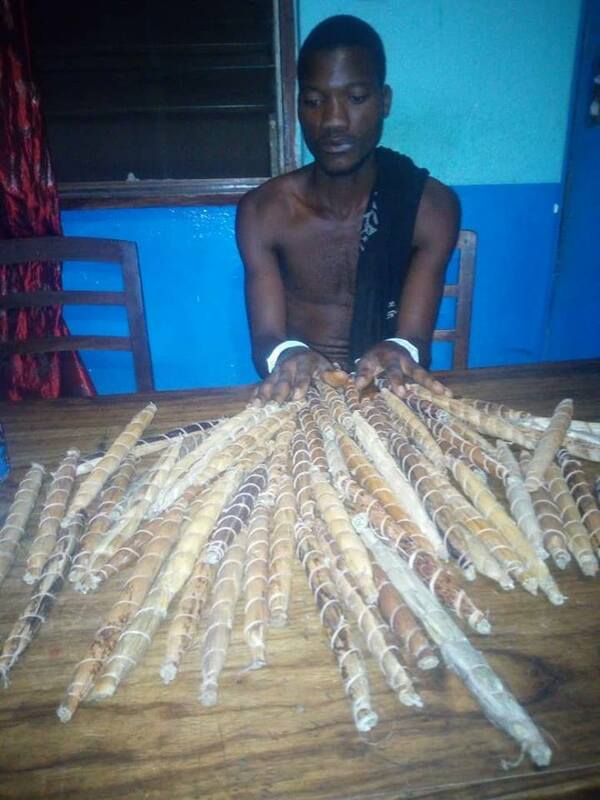 Karonga police station is keeping in custody a 24-year-old farmer, Paul Mhango for allegedly being found with 70 cobs of cannabis sativa. The suspect was arrested on Wednesday around 1700hrs at Mwambuli village in the area of traditional authority Kyungu in Karonga district. Reports say police officers were on their usual observation around Karonga town when someone tipped them that there was a man who was in possession of cannabis sativa without permission. Police made a follow up on the matter and the suspect was arrested at his house where 70 cobs of cannabis sativa was discovered. Meanwhile, police have seized the illicit drug which will be taken to Lunyangwa Research Station for examination. The suspect is to appear before Karonga Magistrate Court. He hails from Mwambuli village, T/A Kyungu in the same district.